A traditional South African sausage made with beef or beef and pork, boerewors is flavored with spices including allspice, coriander, cloves, nutmeg and black pepper. "Boerewors" means farmer's sausage in the Afrikaans language. 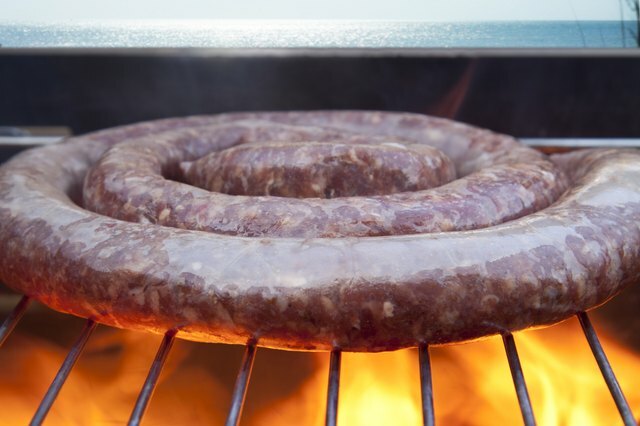 The spiced meat mixture is stuffed inside sausage casing and formed into long coils that are traditionally cooked over coals on outdoor grills called "braais." 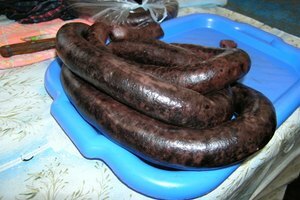 Boerewors can also be pan-fried or roasted in the oven. The key to juicy and flavorful grilled or fried boerewors is cooking the sausage using low to medium heat and turning frequently. 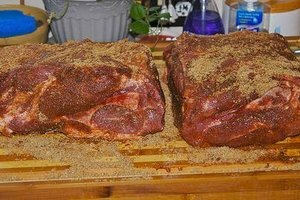 Overcooking leads to dry boerewors, while high heat can scorch the outer casing. 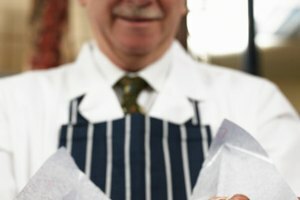 Cooking over moderate heat helps ensure the inside and outside of the sausage are cooked evenly and are done at the same time. However you cook the sausage, allow it to rest for two to three minutes before you serve it. It's easier to cook and handle boerewors if you keep the sausage in a coil shape. Use tongs to turn and flip the boerewors. Be careful not to pierce the casing, as hot fat can spill out and cause flare-ups and charred spots. 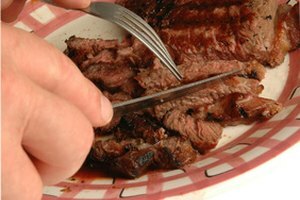 Another benefit of the coil is that the length of casing stays in contact and helps retain the natural juices of the meat mixture. Boerewors is done when the outside casing is golden brown on both sides, which typically requires about 20 minutes total grilling time over coals. The internal temperature should be at least 160 degrees Fahrenheit, measured with an instant-read thermometer. Remove the sausage and let it rest for a minute or two -- the latent heat will continue to "cook" the meat mixture. Pan-fry the boerewors if you can't grill it. In a large skillet, put enough water to cover the sausage and cook over medium heat for 30 to 40 minutes. Turn the boerewors occasionally and finish by browning lightly in the skillet after the liquid has evaporated. You can also pan-fry boerewors directly in a few tablespoons of vegetable oil and cook it over low heat for approximately 10 minutes per side. Make sure the internal temperature reaches 160 F to prevent foodborne illnesses. Another flavorful and simple way to cook boerewors is roasting in the oven. Heat the oven to 350 F, lightly coat the sausage with vegetable or olive oil and place in a baking dish large enough to accommodate the sausage's expansion as it cooks. Cook for approximately 10 minutes, then flip the boerewors over and cook 10 minutes more. Check that the internal temperature has reached 160 F and cook an additional two to five minutes per side, if needed. Todd Whitesel has more than 10 years experience as an editor and writer across a broad range of consumer print and web publications, including "Goldmine Magazine," AVRev.com and GORP.com. His primary areas of expertise are: music, the outdoors, natural history, computers, audio technology, travel, cooking and geography. Todd holds a Bachelor of Arts in English and creative writing from Winona State University.